This agriturismo with two apartments is located in the heart of Maremma in Tuscany. The apartments are charming and cozy. From the private terrace you look out over the very well kept and beautiful garden. The Maremma is a unique atmosphere and landscape due to the beautiful countryside, beach and sea. The agriturismo is ten minutes drive from the sea in the coastal town of Castiglione della Pescaia with a very pleasant atmosphere and nice restaurants, and 10 km away from Grosseto and the medieval hamlet of Vetulonia and Buriano. This rural agriturismo is an old restored barn. 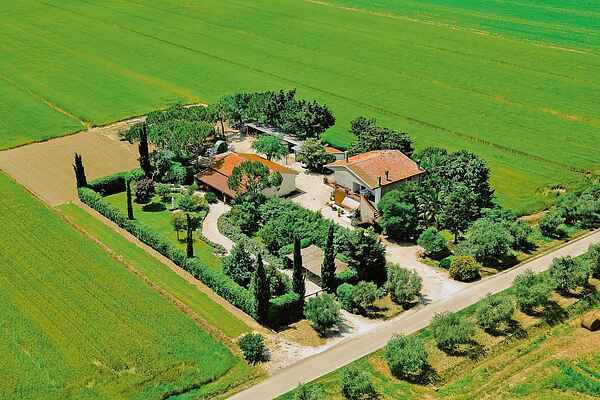 There is a spacious communal garden and the farmhouse is surrounded by 10 acres of farmland and beautiful panoramic views. Furthermore, the agritourism is engaged in the breeding of poultry and rabbits. Suitable for 2 adults and 2 children or 3 adults.